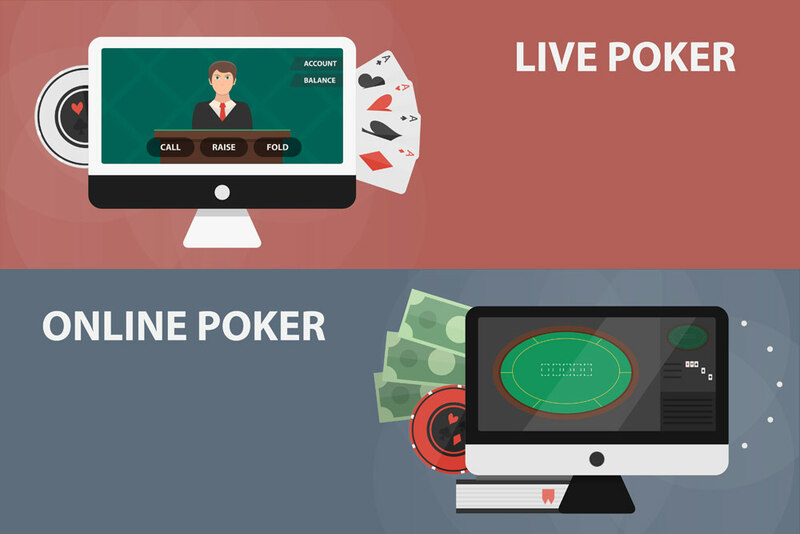 There is a clear distinction between live vs online poker. The simple difference is that live poker is played in casinos while internet poker is played on smartphones or computers. If you go further into details comparing live vs online poker, you will notice the major differences which include the pace of the games, the frequency of bad beats, bet sizing, tells, and stakes among others. When comparing these games, you won’t really be able to conclude that one game clearly outsmarts the other. Even though, online poker is considered to be more interesting and easier. So what makes the difference? The pace at which these games run brings out a major variation. The online poker game plays considerably faster than the live one. The number of hands played within a short time, say an hour, in an online poker room is higher as compared to the number that would be played live. Within an hour, you will mostly experience up to 100 hands or more, unlike live poker where you might only see around 30 hands if it is in a fast-paced table. Apart from the live games being slower, players are also restricted to playing just one table. The variance involves the swings that one experiences when playing poker; higher variance translates to higher gains and losses in the short term as compared to the results one gets over longer periods. If the pace of the play is faster, it affects the outcome of the short-term. In connection to this, you will log a high number of hands in a short period when playing online in contrary to live poker games hence this gives the feeling that your variance has been majorly accelerated. It does not matter whether the difference is artificially created, higher variance in online poker translates to faster and more marked bankroll swings in lesser time. This also makes bankroll management in internet poker different in that you will need to maintain a larger bankroll than you need if you play live poker. It is clear that live poker players experience a lot of limping pre-flop. You will be able to see and tell who the fish are just by checking those who limp while you can not tell this when playing live poker. Most poker players around the same level usually tend to form cliques. Being a member of a clique can greatly help one get better at poker since you get the chance to discuss mistakes and also get ideas from each other. The amount of help and challenge you acquire from playing online poker makes the difference from live poker. Live poker players will regularly get a lot of poor advice and insufficient information since players tend to lack ideas or fear to challenge the ideas of others. A lot of online players do run into more callers when playing online hence experiencing bad beats much more than live players. This tendency is often at the lower limits for online poker since the small stakes promote calls with sub par hands which occasionally outdraw the better hands. Since the pace of online games is usually fast, it also contributes to the high frequency of bad beats. Live cash poker gamers do encounter different bet sizing than what happens online predominantly when the opening of pre-flop raises. For example, you will find online cash gamers opening for 2X or 3X big blind while in live games, it is common for players to open for 5X and above especially where lower stakes are involved. Internet poker players do not have the opportunity to see each other hence there are no physical tells. For this reason, table talks which are important for live gamers are irrelevant for online poker players. Tells are important to the more experienced live players who claim that it is easier to profile their opponents during the live games. Inexperienced players are easier targets since they do give a lot of information quickly. At most times, high skilled players will be more prevalent in online games played at equal limits as live games. Take, for example, a live $1/$2 NL cash poker game will generally attract less tough opponents at the table as opposed to a typical $1/$2 NL online game.